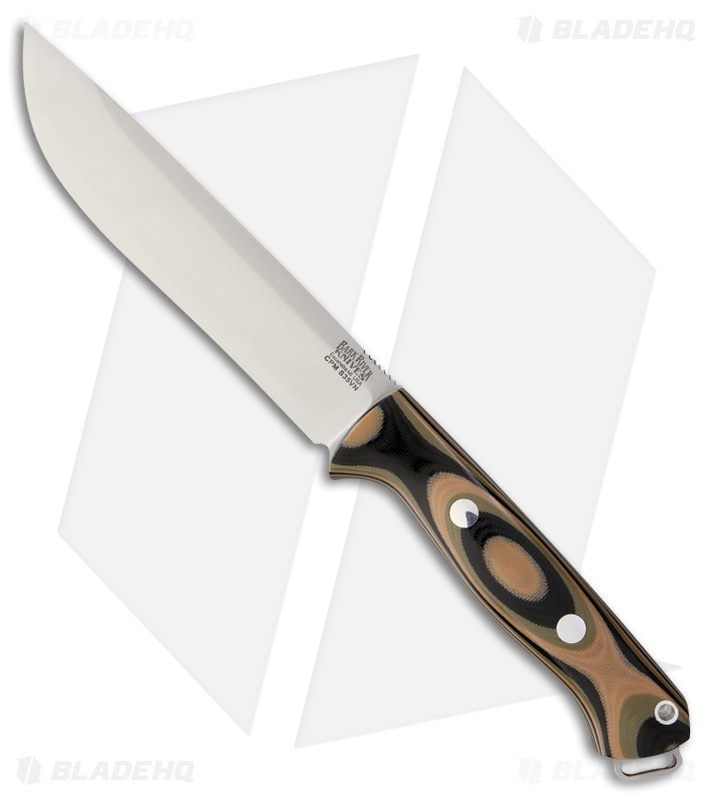 This Bark River Bravo 1.5 Field knife has a CPM-S35VN stainless steel blade with jimping on the spine. It has a Mil-Spec Camo G-10 handle. Includes a handcrafted leather belt sheath.